Because teaching hospitals are teaching our next generation of physicians, we think it’s critical to monitor them closely. Our review of their performance on controlling central-line infections is very sobering. In what is considered a victory for patient safety, hospitals across the U.S. have reduced deadly, but highly preventable, central-line bloodstream infections by 50 percent since 2008. In a new investigation of nearly 2,000 hospitals, Consumer Reports looks at the five-year track record of teaching hospitals to see which have successfully reduced these infections, and which have not. The report, available in the January issue of Consumer Reports and online at CR.org, identifies 31 U.S. teaching hospitals on its lowest-performing “zero tolerance” list and 32 on its list of top performers. The story and Ratings are free, in addition to an interactive look-up tool showing hospitals in your area and their five-year track record (go to CR.org/central-line-infections for the tool). Central-line infections derive from the intravenous lines used to supply medication, nutrients, and fluids to patients who need them the most. When not handled properly, central lines can become host to bacteria, pumping germs straight into the bloodstream of the patient. Once there, the bacteria – including deadly strains such as MRSA that aren’t easily managed with antibiotics – can spread to the heart and other organs. They are deadly in up to a quarter of cases. They cost an average of $46,000 to treat, which is more than any other hospital infection, and the protocol to prevent them is not costly. They are almost entirely preventable through the implementation of a checklist developed by Peter Pronovost, M.D., who developed a safety checklist similar to one used by pilots prior to takeoff. Developed in 2001, the Pronovost checklist is still considered the gold standard. While other hospital infections have stayed steady or declined only slightly in recent years, those linked to central lines were cut in half between 2008 and 2014, according to the CDC. “It’s one of the nation’s greatest patient safety success stories ever,” says Arjun Srinivasan, M.D., associate director for Healthcare Associated Infection Prevention Programs at the CDC. “Hospitals are moving in the right direction, but progress is slowing and too many hospitals have not adequately addressed the problem over the past five years,” says Consumer Reports’ Peter. Consumer Reports’ nine-page investigation outlines the Pronovost principles developed 15 years ago to prevent central-line infections. It also includes profiles of two hospitals, Shore Medical Center in New Jersey and Mount Sinai St. Luke’s-Roosevelt in New York, that give insight into how they successfully battled this infection, and how they continue to be vigilant and improve. The story also includes 15 steps that consumers can take to stay safe in the hospital (see sidebar). From a policy standpoint, CR has worked successfully at the state level to get laws passed that require hospitals to publicly report hospital infections for more than a decade. And while President Barack Obama’s Affordable Care Act included a provision that lowered Medicare payments to hospitals that had too many infections, more can be done at the federal government to give the public more timely and actionable information, says Lisa McGiffert, director of Consumer Reports’ Safe Patient Project (SafePatientProject.org). “We think there are many requirements that could keep patients safe. For example, the federal government should require hospitals to immediately report infection outbreaks or infection-control breaches to patients, healthcare providers, state and federal agencies, and the public. In essence, we’re saying that when there is an outbreak, if the hospital knows, then everyone should know,” says McGiffert. Complete hospital lists and Ratings are available in the magazine story and online. The list below reveals the 31 lowest scoring U.S. teaching hospitals at preventing central-line infections in intensive care units from January 1, 2011 to December 31, 2015. Hospitals appear in alphabetical order. Consumer Reports is the world’s largest and most trusted nonprofit consumer organization, working to improve the lives of consumers by driving marketplace change. 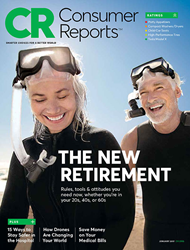 Founded in 1936, Consumer Reports has achieved substantial gains for consumers on food and product safety, financial reform, health reform, and many other issues. The organization has advanced important policies to prohibit predatory lending practices, combat dangerous toxins in food, and cut hospital-acquired infections. Consumer Reports tests and rates thousands of products and services in its 50-plus labs, state-of-the-art auto test center, and consumer research center. It also works to enact pro-consumer laws and regulations in Washington, D.C., in statehouses, and in the marketplace. An independent nonprofit, Consumer Reports accepts no advertising, payment, or other support from the companies that create the products it evaluates.